Idea Bubble - News: Limericks well known Farming company now Online! Limericks well known Farming company now Online! 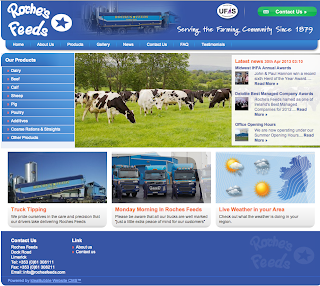 Roches Feeds are a well known Farming Company in Limerick City. We are very proud to present their Website. They were delighted with the results and our own Website CMS Product. Check out their new website online today!